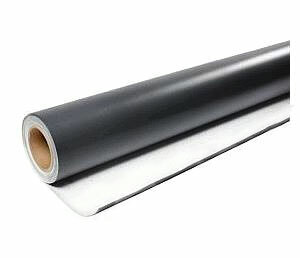 DESCRIPTION: WeatherBond TPO is .045” thick (1.14mm) is a White, reinforced, single-ply roofing membrane. This TPO roofing membrane is designed for all types of commercial and residential single-ply roof construction and re-roofing applications. Options: TPO membrane is available in thicknesses of 60, 72 and 80 mils, in widths from 4 to 12 feet, with peel-stick backing, and in colors of Tan, Gray and White.